PM Modi and President Trump had also vowed to strengthen efforts to fight terrorism and eliminate safe havens for terrorists. Pakistan stands at the frontlines of the international counter terrorism fight, China said. 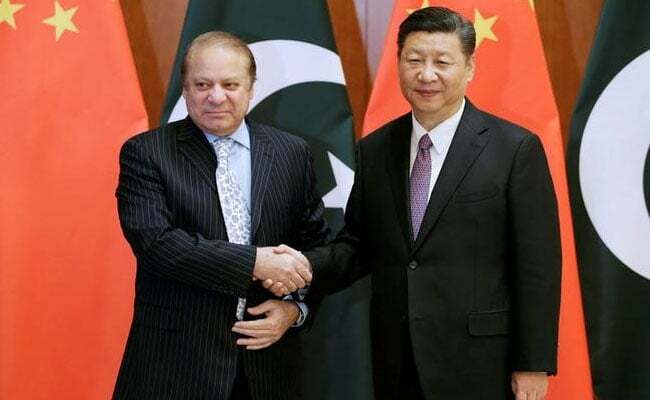 Beijing: A day after India and the US asked Islamabad to rein in cross-border terror, China today put up a strong defence of Pakistan, saying it was at the frontlines of the fight against terrorism. "China thinks that the international cooperation against terrorism should be enhanced and stepped up. The international community should give full recognition and affirmation to Pakistan's efforts in this regard," Chinese Foreign Ministry spokesman Lu Kang told reporters in Beijing. The remarks came in response to the India-US joint statement issued after talks between Prime Minister Narendra Modi and US President Donald Trump at the White House on Monday. "We have to say Pakistan stands at the frontlines of the international counter terrorism fight and has been making efforts in this regard," Mr Lu said. The joint statement issued after PM Modi-President Trump meet had also called on Pakistan to expeditiously bring to justice the perpetrators of the Mumbai, Pathankot, and other cross-border terrorist attacks. Ahead of the PM Modi-President Trump meeting, the US State Department had set the tone for the summit by declaring Syed Salahuddin, chief of Kashmiri terrorist group Hizbul Mujahideen, as a 'global terrorist'. During their meeting, PM Modi and President Trump had had also "committed to strengthen cooperation against terrorist threats from groups including al-Qaeda, ISIS, Jaish-e-Mohammad (JeM), Lashkar-e-Taiba (LeT), D-Company (led by underworld don and terror mastermind Dawood Ibrahim), and their affiliates." On PM Modi-President Trump talks to improve India-US ties, Mr Lu said China is pleased over countries developing friendly cooperative relations. "We think such relations play a positive and constructive role in upholding peace and stability in the region," he said. About the US recognising India's role in stabilising Afghanistan, Mr Lu said, "the realisation of peace and stability in Afghanistan is also in line with the general interest of the regional peace and stability." "We always maintain that the peace process in Afghanistan should be Afghan-led and owned one. We also welcome all parties' constructive efforts to this end," he said.